Tesla Motors stock ($TSLA) has fallen two times because of reports that their Model S catch fire after accidents. 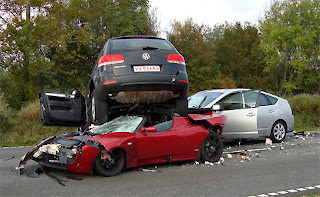 This article will go through a few known major accidents with cars from Tesla Motors. 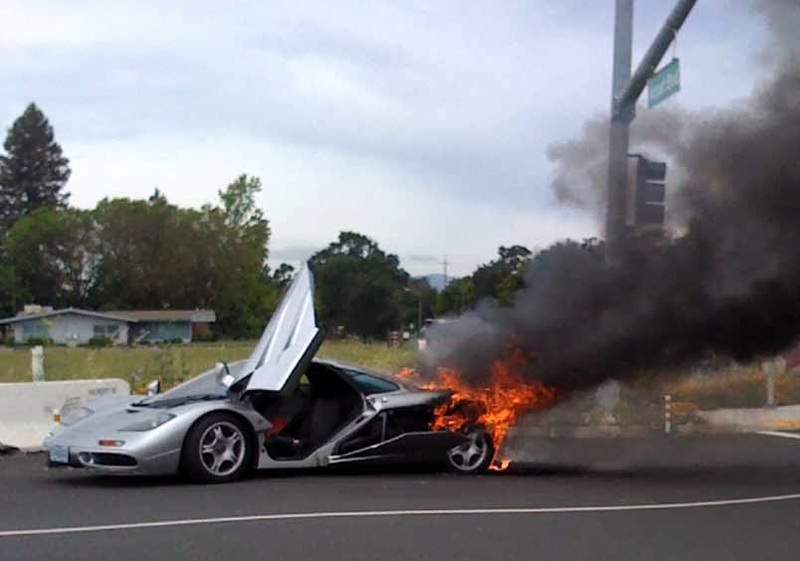 But to warm up, we will begin with the story of how a McLaren F1 was almost destroyed two times. The main investors in and the co-founder of Tesla Motors, Elon Musk, used to own the supercar McLaren F1 with the serial number #67. 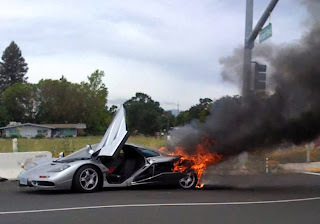 The full story is available here: How Elon Musk crashed his McLaren F1, but the basic story is that a young Elon Musk wanted to impress a co-worker by flooring the gas pedal while driving his new McLaren F1. This ended in disaster when he lost control of the car, they crashed, and the front and the suspension were damaged. The McLaren F1 was repaired and Elon Musk would later sell it to an unknown buyer. After six months of winter storage in a garage, the new owner took the car out for a drive. A passing onlooker alerted the driver that smoke came out of the rear engine compartment. As the owner jumped out, the fire spread quickly, destroying large parts of the car. ...both front and back crumple zones did their job well. But Tesla could do better with the neck support on top of the seat, it was very hard on my head. 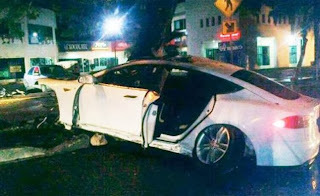 But the accident has convinced me that the Tesla is a very safe sports car. There were no damage in the passenger compartment at all. The Tesla was brand new and had only been running for 400 miles and it was very sad for the owner, I had lent it from. Over all, 6 people went to the hospital, and after 3 hours we were all on our way home. 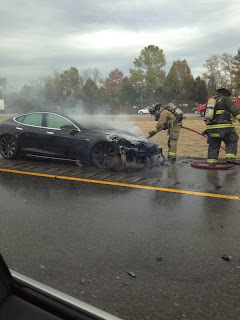 A third Model S fire happened on November 6, 2013. It's still unknown what has happened but the driver told Tesla that "[he] was not injured and believes the car saved his life."